← Fearless Cities: could we have the new municipalism in Greater Manchester? Three members of the Steady State Manchester collective were lucky enough to attend the 6th International Degrowth conference in Malmö, Sweden, at the end of August (2018), travelling there by trains and boats. Between us we presented four papers. The conference was a warm and vibrant space for those working in many ways on alternative economic and social approaches to come together and share ideas, practices and experiences. Far more than an academic conference, this was both a cultural event, taking place in Sweden’s oldest public park, the Folkets (or People’s) Park, and an intervention. 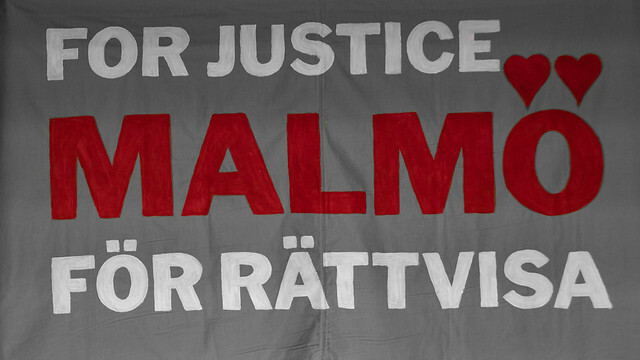 THe immediate context was Sweden’s general election, and the week of events ended with a march and public debate with Swedish politicians: some of whom from the Left and Green parties also joined local activists to participate in discussions at the conference itself. Maybe we’ll have something similar in Manchester in the future. We aim to post more information about some of the most interesting debates and presentations at the conference, but for now, here are links to our papers (below), link to other contributions (below), videos of the plenary and keynote sessions, and a gallery of photos, two of which appear here. And you can find the rest of the conference contributions HERE with abstracts and, for some contributions, slides / text or supporting papers. 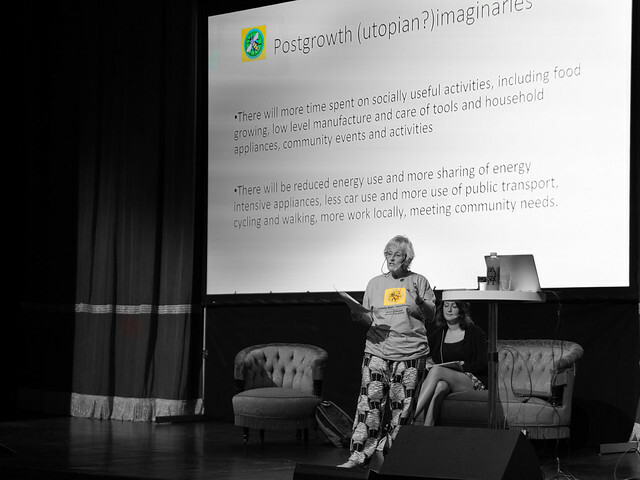 This entry was posted in degrowth, international, news and tagged alternative organisations, collapse, degrowth, event reports, international, Labour Party, Malmö, Sweden, women. Bookmark the permalink.